Foot doctor Imaze Marian Davis, DPM, MBA, located in Miami, FL, is certified in wound care and is the Former director of the Wound Healing Center at Northshore Medical Center. 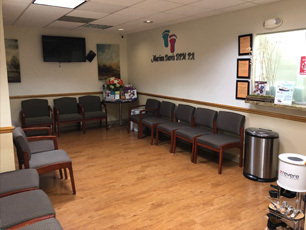 Dr. Davis specializes in foot and ankle trauma surgery, sports medicine, diabetic routine care, laser treatment for toenail fungus, elderly home-bound care, radio frequency treatment for heel pain and much more. Having chronic foot or ankle pain can affect the quality of your life which is why we are committed to making our practice and care convenient and accessible. From routine checkups to minor foot surgery, Dr. Imaze Marian Davis is a podiatrist who is equipped to handle all your foot and ankle needs.